As leading Platinum Refiners in the UK, Goldealers have access to amongst the largest and advanced industrial scale chemical refining and smelting facilities in the UK, possibly the world. Due to the complexity and processes involved in refining platinum group metals, we would always recommend that you telephone us for advice, or send in some sample scrap for analysis in our laboratories. We can process your sample scrap and within a matter of days, a representative from Goldealers will contact you to advise you of the most cost effective method of refining your platinum scrap to ensure that you get the best returns when you recycle your platinum scrap in the UK. Once our labs have seen your Platinum Scrap Sample, and provided you with a quotation, feel free to send the remainder of your Platinum Scrap to us for Refining. 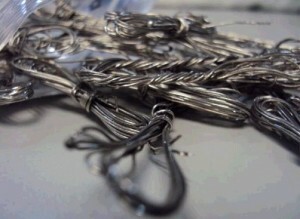 We have no minimum refining weight, so whether you are looking to recycle 2 Platinum Crucibles, or even 2 kilos of Platinum Rhodium Thermocouple Wire, Goldealers Ltd can help. 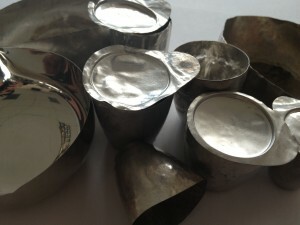 Dependent on platinum content in your scrap, and also the form it is in, we would recommend that you contact us regarding the best method of determining the platinum purity. In some cases, we may recommend that your item is sent to an assay office Laboratory such as www.assayofficelondon.co.uk who may perform a significantly more accurate test such as inductively coupled plasma spectrometry which is accurate to plus or minus 10 parts per thousand (1%). This accuracy does however come at a cost in terms of processing speed fees, a lack of protection against metal price fluctuations. As an alternative, we are able to offer an alternative method of assaying your scrap platinum by X-Ray Flourescence Spectrometry. XRF Assays can be performed in-house, and for solid items of Platinum Scrap such as jewellery, wire or platinum lab-ware, we can typically determine the purity to what we believe to be within plus or minus 15-20 ppt (1.5% – 2%) at most. XRF Assays come free of cost, and results take seconds, not days or weeks. As such, XRF testing would be recommended be used to Analyse small samples or as the full assay for Platinum Scrap in quantities of less than 1kg.